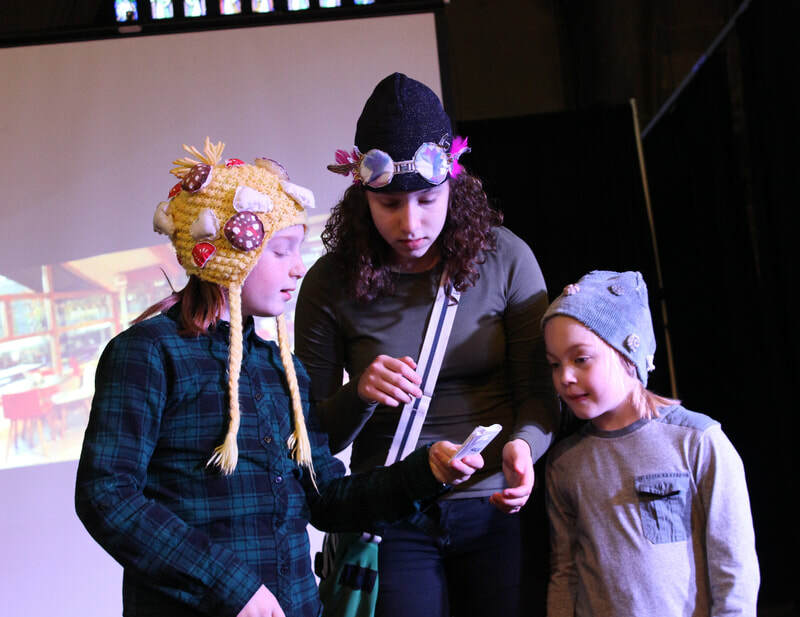 2018's Alternative Christmas Stocking was the biggest one yet with over 100 parents, family and friends joining us at St. Mary's Creative Space to share the work of our Cheshire West-based Youth Theatres. All six of our groups from this side of the borough shared brand new work with the appreciative audience and were supported by our good friends 'The Clock-Makers', led by former Chester Seniors Youth Theatre member Lloyd Ramsey. In Spring 2018 we were approached by Cheshire West and Chester Race Equality Centre to support their programs around refugee re-settlement. As part of this we delivered a family friendly craft day at Ellesmere Port Civic Hall, developed a training film and ran two drama and art summer schools at Beacon High School and Queens Park High School. 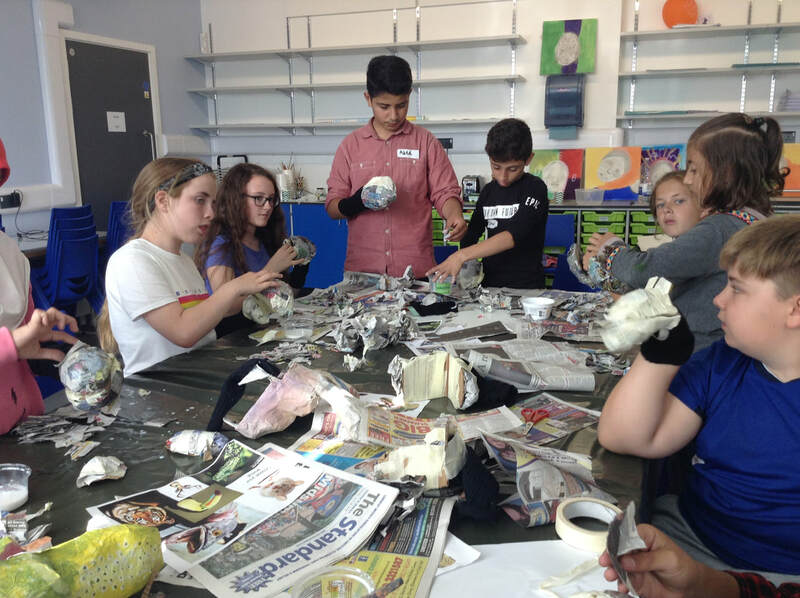 These were integrated summer schools with Syrian children working alongside local children to create a range of artwork and two brilliant drama performances. 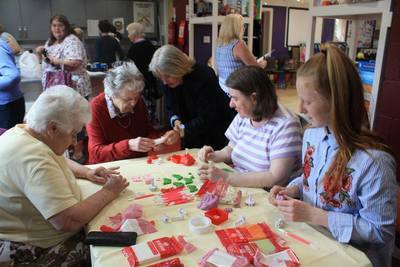 We worked alongside Radiate Arts CIC on this project and look forward to working with them again. Our Stop Loan Sharks project has been running since October 2017. We have been working with second and third year students from the University of Chester to produce a brand new piece of Forum Theatre aimed at raising awareness of Loan Sharks and the good work that the Illegal Money Lending Teams can do to help people in these circumstances. We performed to a group at the University in February and will be bringing the show to Lache, Blacon and Northwich in the next couple of months with the support of partners from Cheshire West and Chester Council, West Cheshire Credit Union and Age UK. If you would like to find out more, share your story or request a performance, please get in touch here. We were thrilled to be able to bring the show to Lache in May 2018 with the support of UK Youth's Money for Life programme as part of our 'My Money and Me' family event. After the success of the Active Youth programme, Minerva Arts has once again joined the delivery team for a UK Youth project. This time it's 'FutureProof'. 'FutureProof' aims to provide young people aged between 11 and 18 with the skills they need to lead healthy, happy lives while also developing their sense of personal agency and community responsibility. The programme contains 8 optional modules covering everything from Healthy Relationships to Online Safety and Politics and anyone taking part in the programme has the opportunity to get a Youth Achievement Award at Bronze or Silver (worth 3/6 ASDAN credits). We will be contacting our friends in schools and youth clubs across Cheshire with this offer very soon but in the meantime, if you would like further information about the programme, please get in touch via our contact page here. Throughout 2016 and 2017, Minerva Arts were a delivery partner on a National Programme run by UK Youth and funded through Sport England. 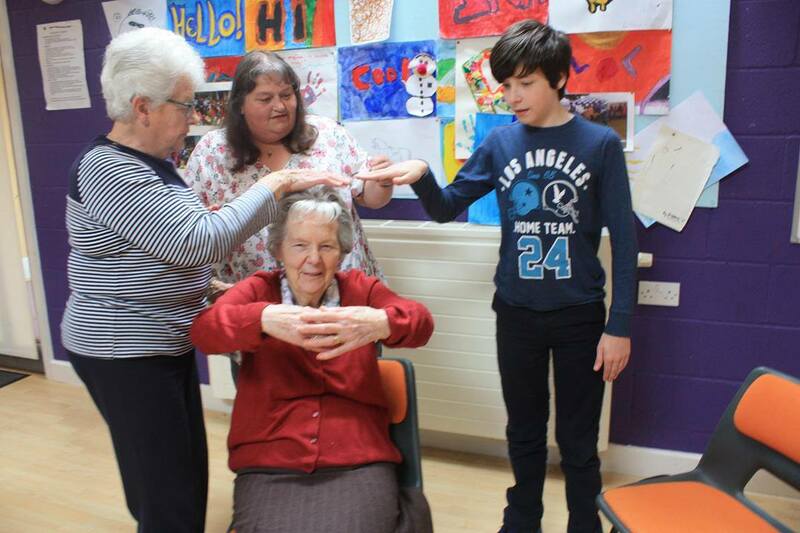 This programme focussed on improving levels of physical activity among young people aged between 14 and 25. This programme enabled us to run several different mini-projects with a wide range of different target groups including those with whom we were already engaging at Youth Theatre plus school groups at Blacon High and Bishop Heber High, Youth Club groups, College groups and brand new Youth Theatre development groups in Frodsham and Tarvin. We had a great time on this project and are looking forward to working with UK Youth again in the future. In December 2016 we were lucky enough to recieve funding from the Heritage Lottery Fund to run the 'Souling' project. 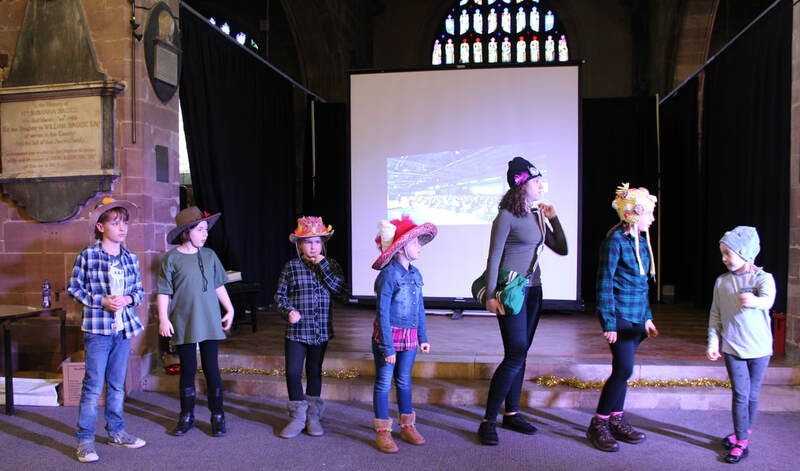 This entailed a series of workshops and projects run with school and community groups across Cheshire West and East that explored the historic Soul Plays that were performed in Cheshire from the Medieval times up to the early 20th Century. Several places still perform their Soul Plays which are of a similar style and structure to other plays in the 'Mummers' tradition throughout the UK, but many dies out after the First World War. We loved this project and a full run-down of the activity was recorded on the Blog page which can be found here. Partners on this project included: Bunbury Aldersay Primary School, Astbury St. Mary's Primary School, Knutsford Promenades, Rustic Music and Arts Festival, Virginia Kettle, Melissa Douglas, Duncan Broomhead and Bunbury Mill. In April-June 2017, we worked with UK Youth to deliver a 'Change Squad' project in Malpas. 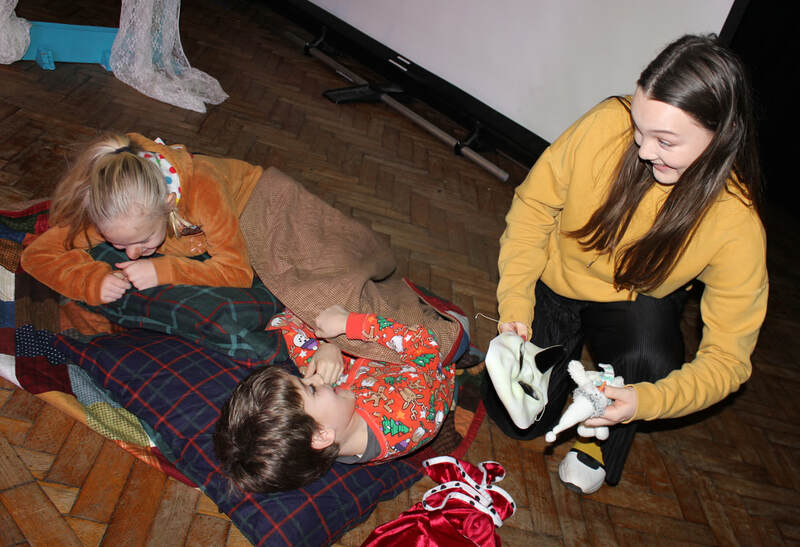 This project involved skilling up young people who are members of our Malpas Youth Theatre and students at Bishop Heber High School in project management, workshop leading and events planning in order that they were able to run tow events for their local community. 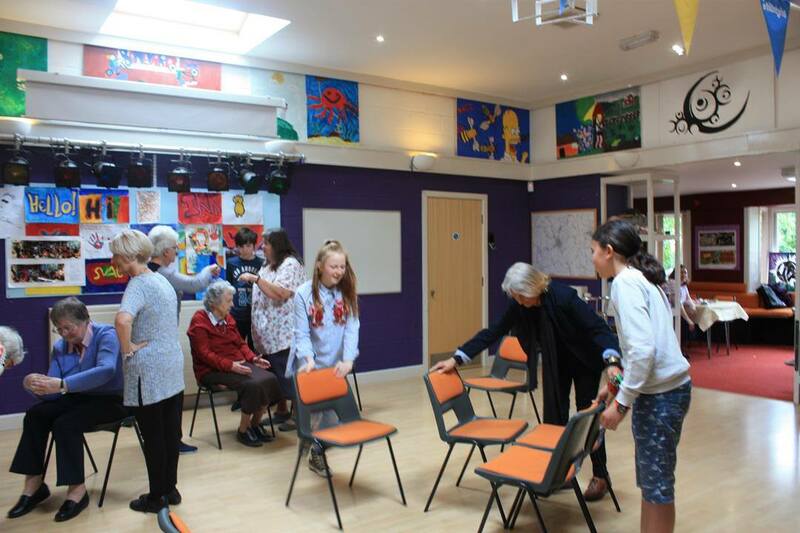 These events were a drama workshop for elderly people in a local care home, run exclusively by our young people and a community quiz night which raised money for local services. This was a great project and really helped the young people to get a feel for how the arts can support social action themes in communities. 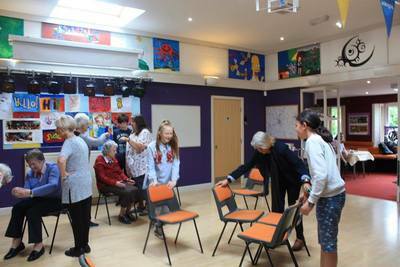 Minerva Arts worked with St Helen's Young Carers over the Half Term break in 2017. Funded by the Arts Award Access Fund we worked with young people aged 13-17, and over the week they got involved in exciting drama and film making workshops. As part of the week they completed a Bronze Arts Award and went to Liverpool visiting the Beatles Story and the Tate. The project culminated in the group creating a video which aims to raise awareness of young carers in the borough. It was a brilliant week, with the young people having lots to be proud of. Minerva Youth Theatre achieves first Gold Arts Award! 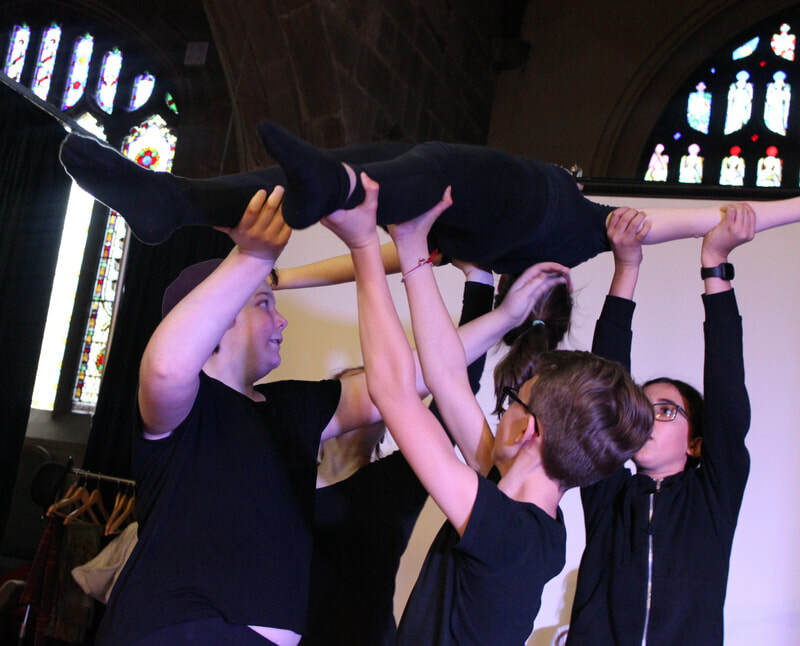 Chester based youth theatre, Minerva Arts has achieved their first ever Gold Arts Award, a nationally recognised qualification. Two of their members, Lloyd and Kate have accomplished the highest level which is the same standard as an A-Level and worth 35 UCAS points. Through working towards an award young people learn to work independently, helping them to prepare for further education and employment. The youth theatre is currently open to anyone aged 11-18 and meet every Wednesday evening 7-9pm at the Kingsway Campus, University of Chester. The group work towards two public performances per year, varying from traditional, scripted shows to devised work created by the group themselves. Lloyd who achieved the Gold Arts Award said ‘The opportunity to get an Arts Award was one of the main reasons why I decided to come to Minerva. It’s great to have taken part in so many shows and learnt so much and have a national qualification to show for it’. Lloyd is now an ex-member and is undertaking a paid work placement at Minerva Arts through the Trailblaze programme which is a regional initiative. Thanks to all our wonderful supporters in the Social Media Universe and beyond we were successful in being awarded a grant of £1000 from the Aviva Community Fund. 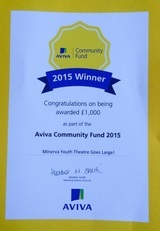 This money helped us to run our pilot Youth Theatre groups in Neston and Malpas. Thank you!! Throughout November and December 2016, Minerva Arts Staff Hollie and Lara worked with Youth Federation to deliver the Lloyds Bank Money For Life programme. Through this progamme they have been delivering sessions in schools and at the University of Chester to help demystify the world of money management through creative approaches. 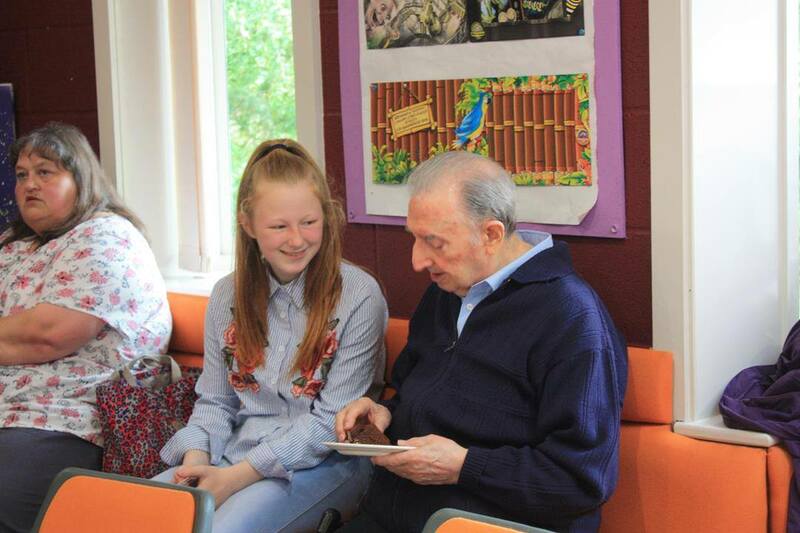 They have been supported on this project by University of Chester Students Amos and Emily who undertook their Work-Based Learning modules with us this year and are also acting as our Active Youth Ambassadors. 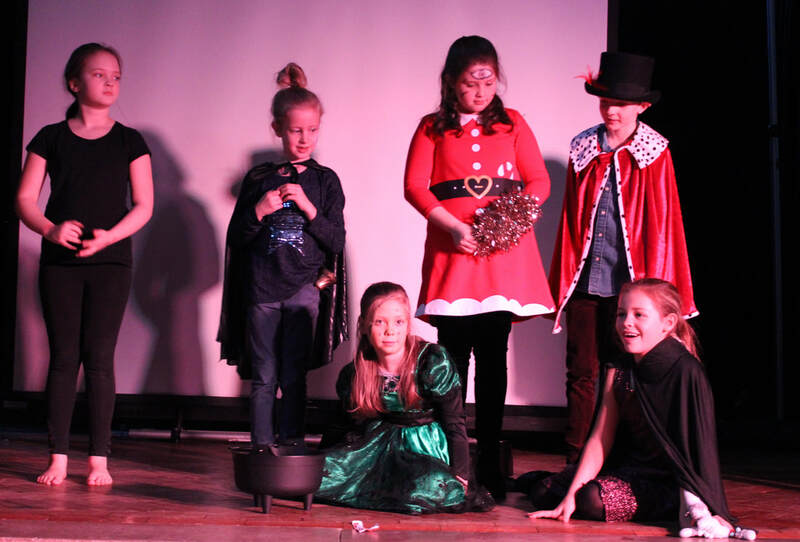 Lynk Cheshire is a vision to build a network of Youth Theatres and Drama Groups across Cheshire that can work together to pool resources, training opportunties and best practice as well as co-ordinate an annual collaborative Summer Project. 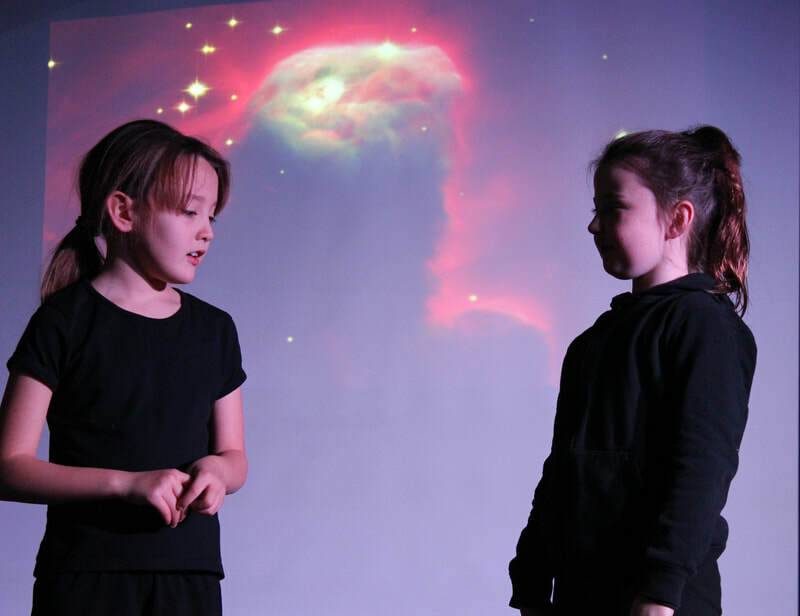 The first phase of this project was funded by Arts Council England in 2014 and saw a collaborative Summer Camp project held that involved young people from Minerva Youth Theatre and Express Youth Theatre in Warrington. We are continuing to run this project, the latest details can be found at www.lynkcheshire.com. This project was a partnership project with River Niger Arts funded by the Heritage Lottery Fund. 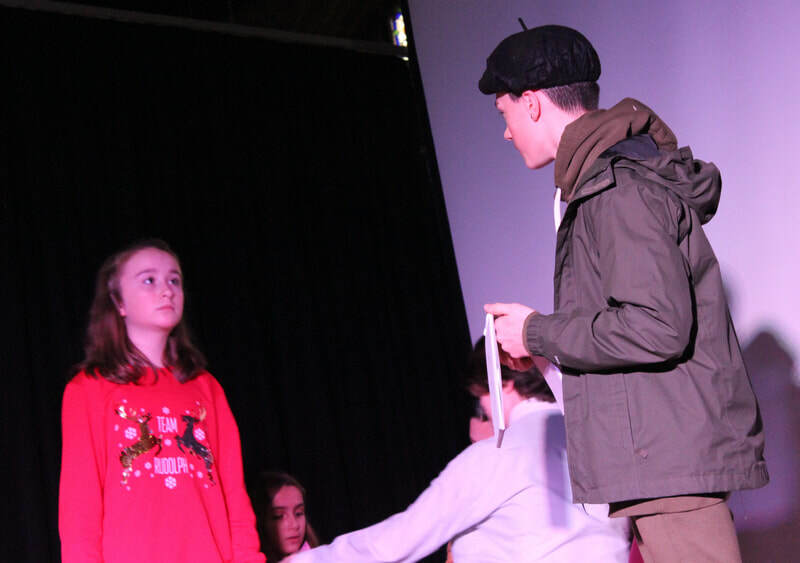 The project worked with students at Hilbre High School Humanities College in West Kirby, Wirral to bring the story of local hero Edmund Morel to life through dance, drama and music. 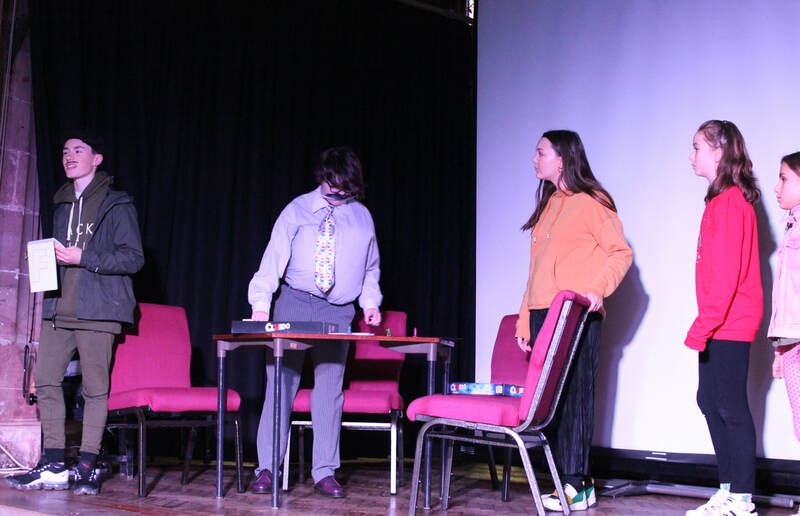 As part of this project we also worked alongside the Wirral Festival of Firsts to share performance work created by the young people who participated as well as hosting our own final sharing at Hilbre. This project also culminated in the publication of a schools resource based on the workshops that were developed in the project. 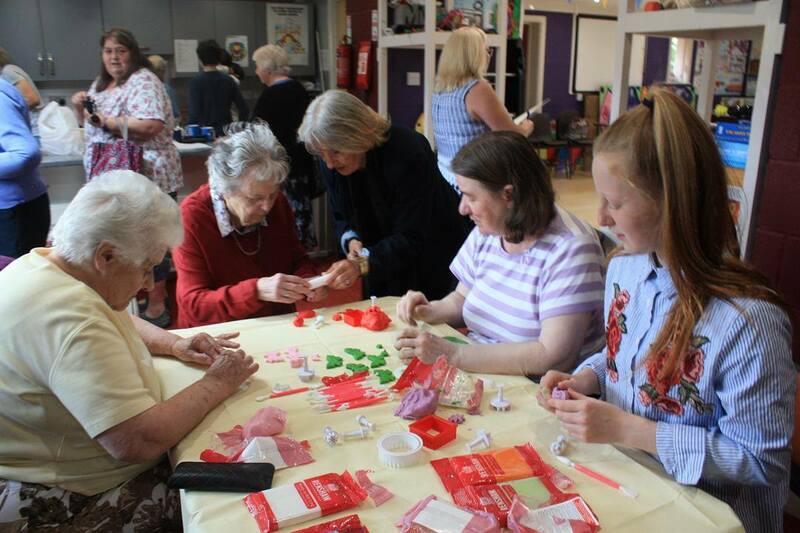 This project was funded by Arts Council England and brought four professional artists working in different disciplines to four rural villages in Cheshire West. 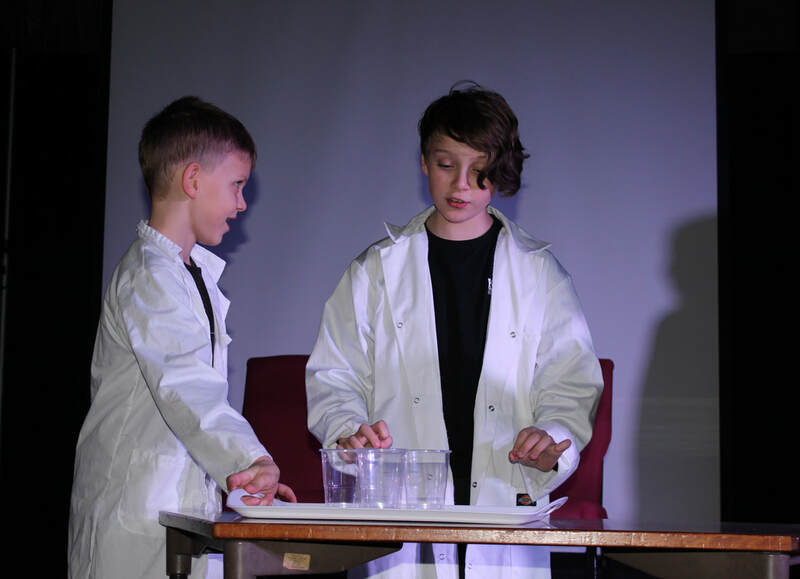 Young people between the ages of 6 and 16 participated in workshops in dance, drama, music and photography culminating in a final sharing that was held at Tarporley Community High School.